The Outstanding Achievement award is the second highest honor bestowed by the IMA and an extremely challenging award to win, according to the official announcement by the award council, which continues that the CAC website project has excelled in all areas of our judging criteria and represents a very high standard of planning, execution and overall professionalism. CAC is a relatively new brand identity as a result of restructuring from the previous West Coast Athletic Clubs management company in 2011. At the time there were only 3 clubs, said CAC President, Eric Schmitz. We've added 4 more clubs since then and created this whole new brand identity... so that was the impetus to create this new website. While CAC was a relatively new business, Schmitz wasn't new to MembersFirst. I've been a client since 2006 when I was with West Coast Athletic Clubs, said Schmitz. Their primary space is not health clubs, but we're not the typical health club, so where they excel in representing country clubs for example was an asset to bringing that part of our brand out in the design of our site; country club in feel but with health club services. Schmitz points out in addition to emphasizing lifestyle services like child care, socials, spa treatments, and family activities, their health club brand is different in another big way: it isn't perfect people; it's real people. We're trying to connect with families and show that our clubs are not a meat market, he said. [Showing] images of real people offers a level of comfort - that you belong no matter who you are. Our approach to on-boarding these clubs is also different than what the health club industry has done in the past. Each club already had its own local identity and we wanted to keep that while bringing it under the common brand of California Athletic Clubs. 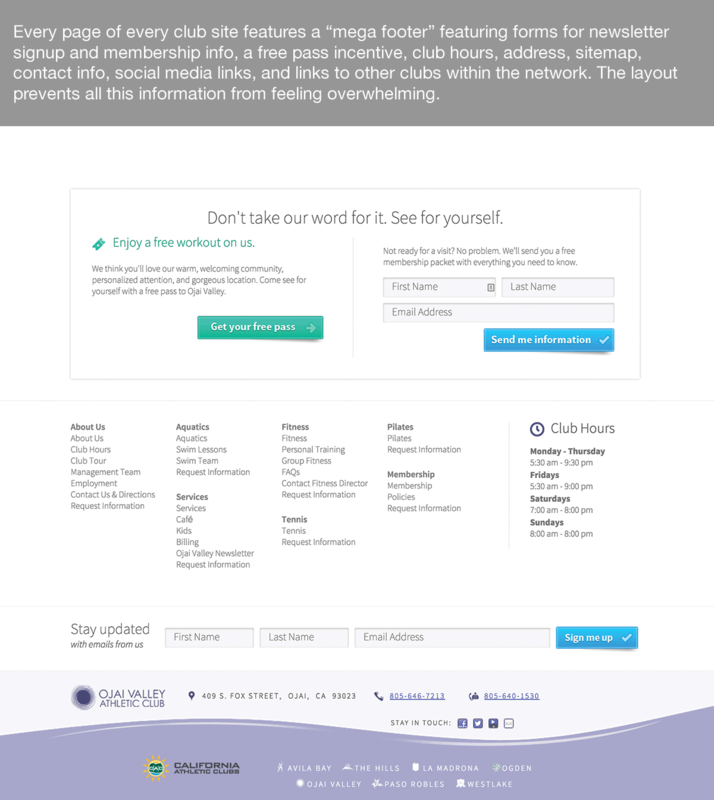 The website is an important part of that- the approach we took with our project manager at MembersFirst allowed us to keep the local identities while creating a consistent look and feel and message about what we're trying to accomplish at each club. MembersFirst Project Manager, Kari Bass, worked with Schmitz from beginning to end on all aspects of the site buildout. A project like this isn’t just about how the site looks and feels, said Bass. We need to understand where the client wants to take their business so we can build their site for their future needs too. A unique challenge for this project was how to create many different websites that could be managed like a single website, and could grow with minimal overhead as CAC brought in more clubs. 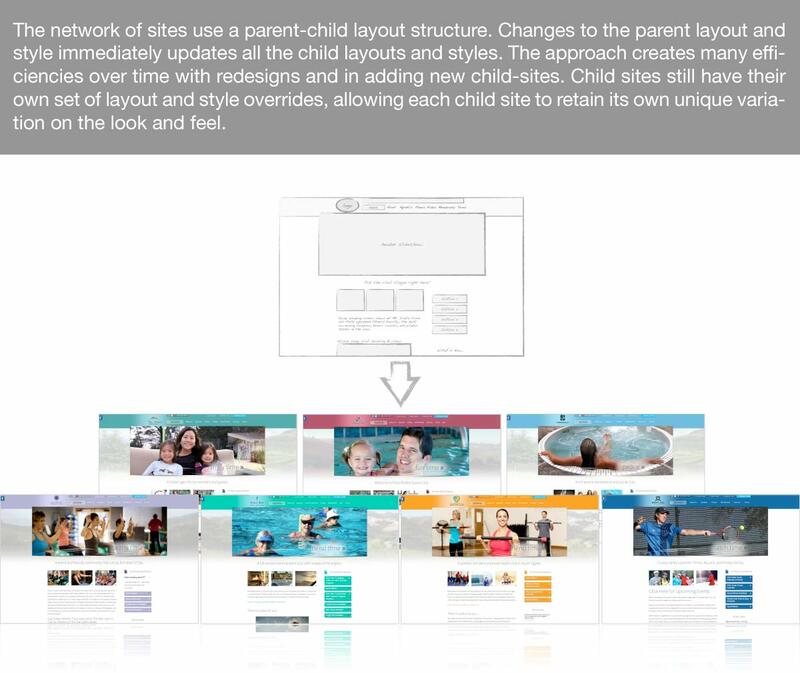 We modified the site's content management system to allow a parent-child layout structure. The multi-facility concepts we built on for this project were flexible enough to use on projects with dozens of clubs instead of 7. Adding new sites as CAC brings new clubs under their umbrella has been a cinch. Kari is amazing, seriously, said Schmitz. She was instrumental in the success of the project by keeping everyone on time. She listened to my input and offered good options. Working with Kari and the MembersFirst team throughout the project meant that how it turned out is exactly how I thought it would turn out. 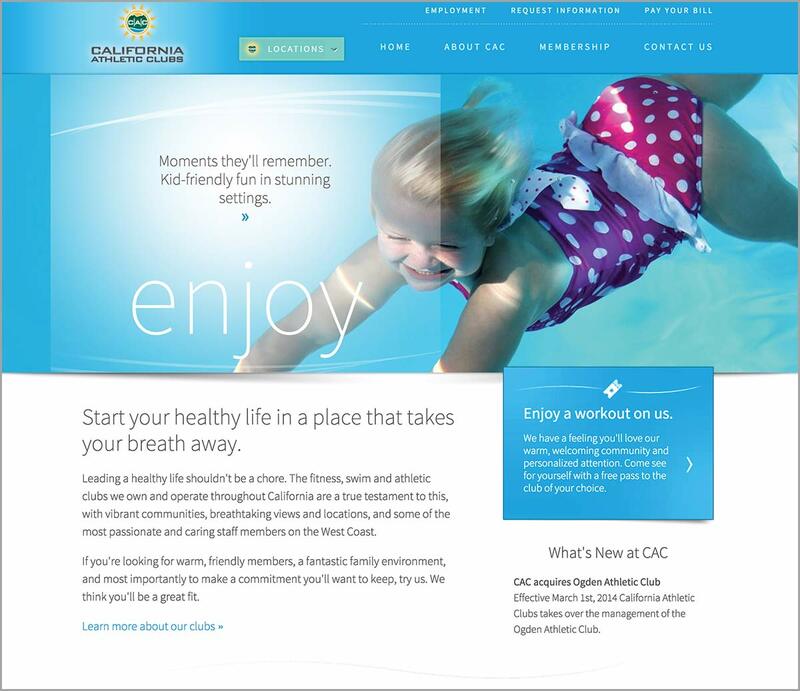 California Athletic Clubs continues to bring in new high end health clubs under their umbrella- an 8th is expected to join in the next few months. The award is the 15th for MembersFirst, and more are expected in the next few months as well. California Athletic Clubs (CAC) owns and operates health clubs that are located throughout the Western United States. 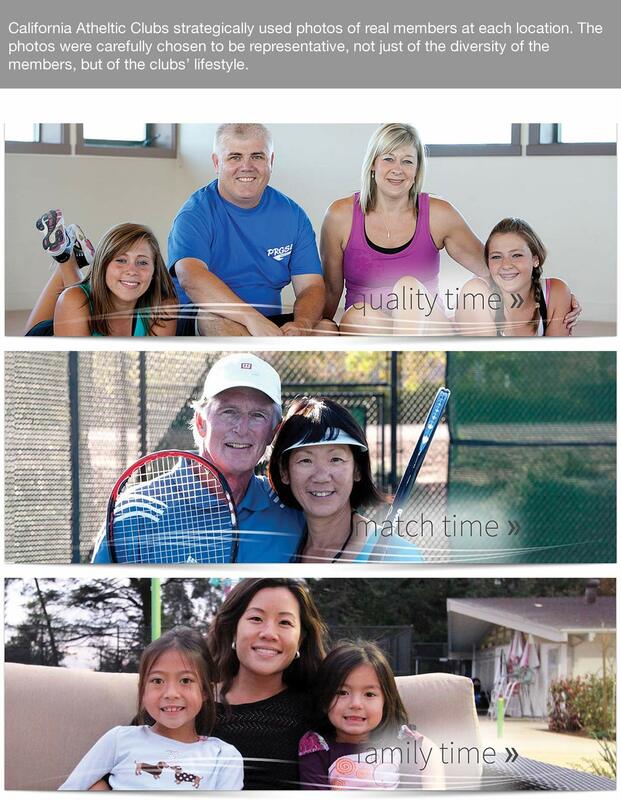 CAC clubs are known in their markets for being the highest quality family fitness, tennis, and swim clubs. There are over 20,000 members and 650 employees that belong to CAC. CAC is headquartered in Santa Barbara, CA.